Harrison is the 10th artist to receive the Kresge honor and $50,000 award for contributions to art form, cultural community, residents of the city. Detroit-born jazz musician Wendell Harrison has been named the 2018 Kresge Eminent Artist. The lifetime achievement award includes a $50,000 prize. Harrison, 75, is a tenor saxophonist, clarinetist, composer, bandleader, educator, organizer and entrepreneur. His high-energy and expressive playing sweeps through a range of idioms, reconciling modern jazz roots with excursions into funk, fusion and free jazz. He is widely known as a flame keeper of Detroit’s jazz legacy and the co-founder of Tribe, an influential 1970s collective that produced jazz recordings and concerts, published a magazine and continues to provide a do-it-yourself model for contemporary creative musicians. Harrison has been based in Detroit for most of his 60-year career, but he spent much of the 1960s in New York. There he worked with the celebrated mainstream guitarist Grant Green, free jazz icon Sun Ra and soul singer Lou Rawls. He spent more than four years recording and traveling with the bluesy saxophonist Hank Crawford, with whom Harrison made his first recordings. Harrison’s own bands have ranged from traditional small groups to a unique clarinet ensemble; his notable collaborators have included such leading figures as saxophonists Eddie Harris and Detroit-born James Carter, vocalist Leon Thomas and Detroit techno pioneer Carl Craig. Harrison has made more than 20 recordings as a leader and dozens more as a sideman. Harrison’s work ethic, commitment to self-improvement and personal journey have inspired generations of Detroit musicians. Harrison founded in his own nonprofit, Rebirth, in 1978 as an umbrella for his performing, recording and teaching activities. Harrison is the tenth metro Detroit artist to receive the Kresge Eminent Artist award since 2008 in recognition of professional achievements in an art form, contributions to the cultural community and dedication to Detroit and its residents. Harrison is the second jazz musician to be named a Kresge Eminent Artist; the first was trumpeter and educator Marcus Belgrave (1936-2015), a frequent Harrison collaborator, who received the award in 2009. 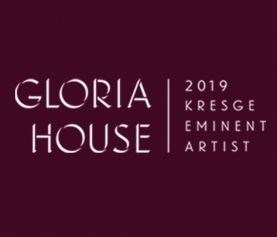 The Kresge Arts in Detroit office at the College for Creative Studies administers the Kresge Eminent Artist Award, Kresge Arts Fellowships and the Gilda Awards for emerging artists. 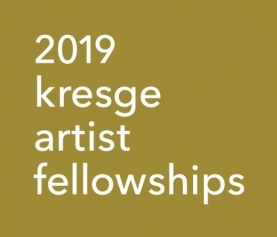 The awards and the Kresge Arts in Detroit office are funded by The Kresge Foundation, a national private foundation based in metro Detroit, as part of its Detroit Program. Kresge’s Detroit Program collaborates with civic, nonprofit and business partners to promote and expand long-term, equitable opportunity in the foundation’s hometown. Since 2008, these Kresge Arts in Detroit initiatives of direct, no-strings-attached grants to 178 individual artists in Wayne, Oakland and Macomb counties have contributed more than $4.5 million to the local creative economy, including $500,000 cumulatively to the Eminent Artists. The grants are intended, among other goals, to elevate the position and visibility of artists in the community and strengthen Detroit’s position as a major center for arts and culture nationally and internationally. “Wendell Harrison epitomizes the passion, talent and visionary creativity that Detroit is known for,” says College for Creative Studies President Richard L. Rogers. “As a musician, composer, bandleader, co-founder of Tribe, and leader of his own label, Wenha Records, Harrison not only influenced the historic development of improvisation and the trajectory of jazz, he took on inequity and injustice in arts and culture by creating new vehicles of production, distribution and documentation. Wendell Harrison was born into a family of high achievers on Oct. 1, 1942. His father, a Ph.D., taught sociology at Southern University in Baton Rouge, Louisiana; his mother, who had a master’s degree, taught in Detroit public schools. Harrison had a lot of nervous energy as a child that often got him into trouble, so his mother pushed music lessons to instill discipline. He started piano at age 5, clarinet at 8 and alto saxophone at 12, eventually switching to tenor sax. He caught the jazz bug at Detroit’s Northwestern High School, where he was inspired by slightly older classmates who would later make national names for themselves, including alto saxophonist Charles McPherson, trumpeter Lonnie Hillyer and future Motown bass star James Jamerson. Unfortunately, the rigors of the road and the proximity to drugs caught up with Harrison, and he found himself addicted to heroin. In 1967 he entered Synanon, the well-known drug rehabilitation and residential center in Santa Monica, Calif. He stayed for 2 ½ years, spending his time reading, learning about business, nonprofits and fundraising. He drove supply trucks and jammed with fellow musicians among the residents, including the famous saxophonist Art Pepper. Harrison also appeared on “The Prince of Peace” (on the Epic label), a jazz-rock cantata recorded with Synanon musicians, including vocalist Esther Phillips. With a newfound focus and determination to make something of his life, Harrison returned to Detroit in 1970 for what he thought would be quick stopover. Instead, he found his destiny. He began teaching at Metro Arts, an inner-city youth organization, and there became close with trumpeter Belgrave, trombonist Phil Ranelin, and pianist Harold McKinney (father of drummer Gayelynn McKinney). Harrison and Ranelin co-founded Tribe in 1972 to document their music through concerts and recordings. Tribe was part of a wave of self-determination efforts in the ’60s and ’70s among black musicians that included the contemporaneous Strata in Detroit, the Association for the Advancement of Creative Musicians in Chicago, and the Black Arts Group in St. Louis. Tribe was among the most ambitious and successful in the country, taking on a broader community focus with the publication of Tribe magazine, which Harrison edited with assistance from journalist Herb Boyd and others. The magazine, which lasted until 1977, explored subjects such as economic injustice, school busing, abortion and police brutality. Musically, Tribe’s aesthetic suggested a gritty mélange of modal post-bop, populist jazz-rock and streaks of free-jazz abstraction. Harrison’s 1972 recording “An Evening with the Devil,” which features his compelling original compositions and performances of furious intensity, even includes some fiery poetry. “I grew up in a bebop paradigm, but I’ve always leaned toward experimentation too,” said Harrison. Tribe formally disbanded in 1977 after Ranelin moved to Los Angeles, but its spirit has lived on in Harrison’s subsequent activities and other musician-run organizations and nonprofits that blossomed in Detroit. Moreover, Harrison has aggressively pursued licensing deals with companies worldwide that have kept reissues of Tribe recordings in circulation in America, England, Europe and Japan. Original Tribe LPs have become highly sought collectors’ items, sometimes commanding more than $1,000. Harrison and other Tribe principals have reunited periodically, including a high-profile showcase at the 2008 JVC Jazz Festival in New York. In addition, techno artist and producer Carl Craig has championed Tribe’s legacy, hiring Harrison and Belgrave for concerts and producing a widely celebrated Tribe recording, “Rebirth” (Planet E/Community Projects). Harrison continues to do concerts with Craig at home in Detroit and abroad. “What Wendell didn’t realize at the time in the ’70s was that what he was doing with Tribe would extend the impact of Detroit to the rest of the world,” said Gayelynn McKinney. Since forming the Rebirth nonprofit organization in 1978 to present and preserve jazz, Harrison has recorded prolifically as a leader on his own label, Wenha Records. 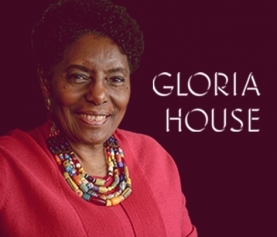 For many years he also produced concerts and live radio broadcasts on WDET-FM featuring visiting stars such as saxophonist Paquito D’Rivera, clarinetist Don Byron and the late pianist Geri Allen, an international star who grew up and began her career in Detroit. Harrison continues to produce recordings for other artists, among them his wife, noted pianist and composer Pamela Wise. Harrison has also become an active music teacher, and for the last 10 years has been a resident artist in Detroit high schools through an initiative of the Detroit Jazz Festival Foundation. In the late ’70s, he began to reinvestigate his first reed instrument, the clarinet. In the ’90s, he created the Mama’s Licking Stick Clarinet Ensemble whose front-line of six clarinets creates a sound of dark mystery and surprise in a repertoire that spans swinging jazz, Latin and even classical genres. On recordings like 1994’s “Rush and Hustle,” Harrison’s gruffly expressive clarinet tone and animated phrasing are all his own. On “The Battle of Tenors,” recorded live at the Detroit Jazz Festival in 1994, Harrison plays both tenor sax and clarinet, locking horns with saxophonist Eddie Harris to exciting effect. While continuing his musical pursuits, Harrison has pursued college degrees in recent years. After passing his 70th birthday he earned a bachelor’s degree in organizational management (2014) and a master’s degree in communications (2017) from Spring Arbor University. Having written previous instructional books on jazz improvisation, he is currently completing “The Fundamentals of Marketing and Promotion for the 21st Century Musician,” with one of his former professors, Robert McTyre, for publication later this year. In 1993, Harrison was named a Jazz Master by Arts Midwest, and in the mid-’90s he toured internationally with the Michigan Jazz Masters, a band that also included his former Tribe associates Belgrave and Harold McKinney, both of whom have since passed away. Harrison says has been thinking about Belgrave and McKinney, both renowned mentor-educators, since learning about his Kresge Eminent Artist award. The Kresge Eminent Artist award is given annually to an artist who has lived and worked in Wayne, Oakland or Macomb county for a significant number of years. In addition to the unrestricted $50,000 cash prize, the award includes the creation of a monograph commemorating the artist’s life and work, which is distributed to the public for free. Past winners are educator-musician Patricia Terry-Ross, photographer-activist Leni Sinclair, textile artist Ruth Adler Schnee, the late photographer Bill Rauhauser, opera impresario David DiChiera, poet-publisher Naomi Long Madgett, poet-playwright Bill Harris, the late jazz musician Marcus Belgrave and artist Charles McGee. The Kresge Foundation is a $3.6 billion private, national foundation that works to expand opportunities in America’s cities through grantmaking and social investing in arts and culture, education, environment, health, human services and community development in Detroit. Kresge’s Detroit Program collaborates with civic, nonprofit and business partners to promote long-term, equitable opportunity in Kresge’s hometown. The strategy includes place-based efforts to revitalize neighborhoods and improve the quality of life for residents; efforts to strengthen arts and culture, early childhood development, community development and other citywide systems of support; and efforts to bolster civic capacity, the ability of Detroiters to join, influence and lead the city’s renewal. For more information, visit kresge.org.